Cardiovascular diseases (CVD) are the main cause of life lost in developed countries and one of the main causes of disability in the population. Therefore, any effort to improve diagnosis techniques and treatments will imply an important benefit for the society. As well, during the last decades the application of computational methods in biomedical environments have suffered a significant development, and concretely in the cardiovascular system. We are dealing with highly complex problems, including multiphysics and multiscale phenomena, and being high computer demanding. Nowadays there are not commercial codes that include these features adapted to a cardiovascular framework; therefore the development of a specific system is necessary. This research project has a double objective. Firstly, from a purely formal point of view, a computational tool for modelling of fluid-structure interaction problems focused on cardiovascular applications will be developed. 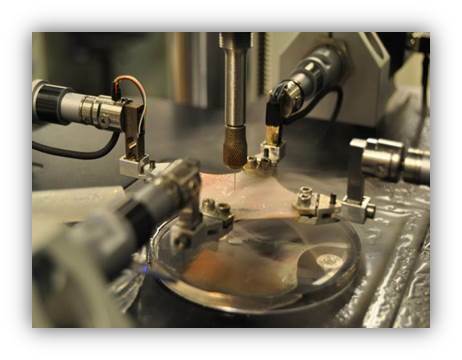 The results from this numerical tool will be validated with experimental measures obtained in laboratory using Particle Image Velocimetry (PIV) and holography. Secondly, the applicability and validity of the numerical system will be evaluated by applying the tool to improve of the mechanical design of a new prototype of antithrombotic filter for vena cava. The general formulation of the fluid-solid coupling is based in the “immersed boundary method”, with modified kernel functions, that allows using any type of fixed mesh with a high definition of the boundary conditions in the interface. The main issue of the method consists on imposing the boundary conditions for the fluid flow using a singular volume force distribution in the momentum continuity equations. This scheme, previously developed by some members of the present research team for coupling fluid and rigid solid, will be applied also to deformable solids under non-linear deformation hypothesis, such as the vascular tissue. The interaction of the blood flow is double, first with the artery wall and also with the intra-vascular device. In order to make the use of these complex tools in actual applications feasible, high performance computation techniques will be developed, including parallel computing. This fact will suppose an advantage respect general purpose commercial codes. The numerical results will be validated by comparing with experimental data from PIV and holographic techniques. A experimental system reproducing the hemodynamic conditions of fluid flow in arteries will be developed, acquiring measures of the velocity field of the spatial flow and wall displacements. This computation tool will be applied to the design of an intravascular device, a new prototype of an antithrombotic filter. Following mechanical and hemodynamic features, the final aim is to maximize the number of thrombus that this device can capture, minimizing the risk of device migration, the endothelial damage and consequently, the posterior restenosis phenomenon. 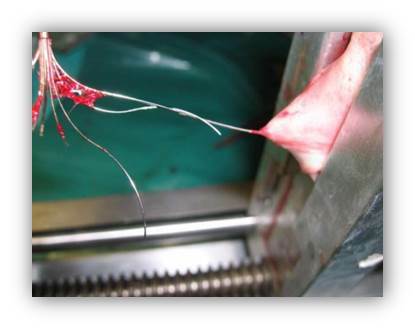 Other desirable conditions are the easiness for the extraction manoeuvre, decreasing of the penetration risk or the penetration of the filter hooks into the vascular wall. 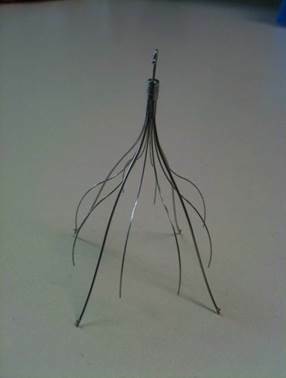 This last effect can damage other vessels or adjacent organs, limiting the use of this device in minimally invasive therapies. Due to the fullness and complexity of the phenomena established in this project, the creation of a multidisciplinary group is required. This research team is formed by specialist from different subjects, such as computational fluid mechanics and high performance computation (Numerical Simulation and Modeling Unit, CIEMAT), modelling of blood vessels (Group of Structural Mechanics and Materials Modelling, Universidad of Zaragoza, GEMM), experimental measurement of fluid flows and solid deformations (Group of Laser Optical Technologies, Universidad of Zaragoza, TOL), research in minimally invasive techniques (Research Group in Minimally Invasive Techniques, GITMI) and physicians with expertise in daily clinical practice (Group of Hemodynamic and Interventional Cardiology, Hospital Miguel Servet). 1. C. Chiastra, F. Migliavacca, M. A. Martínez and M. Malvè. On the necessity of modelling fluid-structure interaction for stented coronary arteries. J Mech Behav Biomed. In press (2014). 2. P. Sáez, E. Peña, M.A. Martínez. A structural approach including the behavior of collagen crosslinks to model patient specific human carotid arteries. Ann Biomed Eng. In press (2014). 9. P. Sáez, E. Peña, M. A. Martínez, E. Kuhl. Mathematical modeling of collagen turnover in biological tissue. J Math Biol, 67: 1765-1793 (2013). 10. A. García, M.A. Martínez, E. Peña. Determination and modeling of the inelasticity over the length of the porcine carotid artery. ASME J Biomech Eng, 135: 031004 (2013). 11. M. Cilla, D. Monterde, E. Peña, M. A. Martínez. 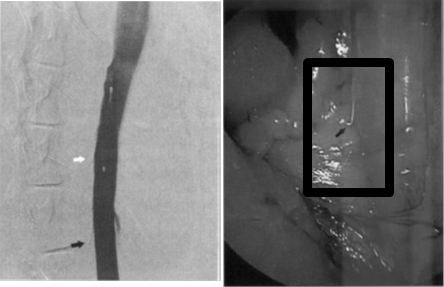 Does microcalcification increase the risk of rupture?. PI Mech Eng H, 227: 588-599 (2013). 12. Cilla, M; Pena, E; Martinez, MA; Kelly, D (2013) Comparison of the vulnerability risk for positive versus negative atheroma plaque morphology. JOURNAL OF BIOMECHANICS. Vol: 46(7), pag: 1248-1254. 13. Cilla, M; Monterde, D; Pena, E; Martinez, MA (2013) Does microcalcification increase the risk of rupture?. PROCEEDINGS OF THE INSTITUTION OF MECHANICAL ENGINEERS PART H-JOURNAL OF ENGINEERING IN MEDICINE. Vol: 227(H5), pag: 588-599. 14. 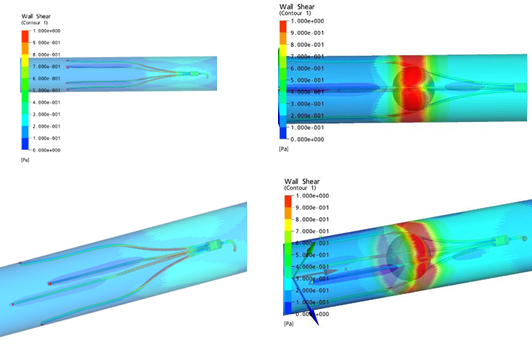 Malve, M; Chandra, S; Lopez-Villalobos, J; Finol, E; Ginel, A; Doblare, M (2013) CFD analysis of the human airways under impedance-based boundary conditions: application to healthy, diseased and stented trachea. COMPUTER METHODS IN BIOMECHANICS AND BIOMEDICAL ENGINEERING. Vol: 16(2), pag: 198-216. 16. García, S. Lerga, E. Peña, M. Malve, A. Laborda, M. A. De Gregorio, M. A. Martínez. Evaluation of migration forces of a retrievable filter: Experimental setup and finite element study. Med & Eng Phys, 34: 1167-1176 (2012). 17. M. Cilla, E. Peña, M.A. Martínez. 3D computational parametric analysis of eccentric atheroma plaque. Influence of axial and circumferential residual stresses. Biomech Model Mechanob, 7: 1001-1013 (2012). 18. A. García, M.A. Martínez, E. Peña. Viscoelastic properties of the passive mechanical behavior of the porcine carotid artery: Influence of proximal and distal positions. Biorheology, 49: 271-288 (2012). 19. P. Sáez, V. Alastrué, E. Peña, M. Doblaré, M.A. Martínez. Anisotropic microspherebased approach to damage in soft fibered tissue. Biomech Model Mechanob, 11: 595-608 (2012). 20. M. Cilla, J. Martínez, E. Peña, M.A. Martínez. Machine Learning Techniques as a helpful tool towards determination of plaque vulnerability. IEEE Trans Biomed Eng, 59: 1155-1161 (2012). 21. A. García, E. Peña, M.A. Martínez. 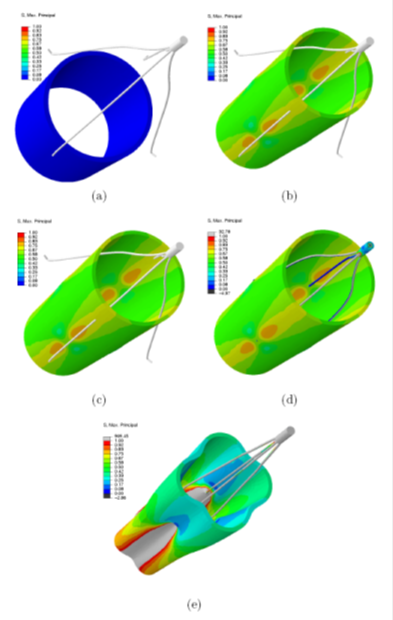 Influence of geometrical parameters on radial force during self-expanding stent deployment. Application for a variable radial stiffness stent. J Mech Behav Biomed, 10: 166-175 (2012). 22. M. Malvè, B. Lucea, E. Peña, M.A. Martínez. CFD analysis of the impact of different vena cava antithrombotic filters on the blood flow. Journal of Biomechanics, Vol 45, Supl. 1, pp. S30, 2012. 23. M. Malvè, A. García, J. Ohayon, M.A. Martínez. Blood flow and mass transfer of a left coronary artery bifurcation: FSI vs. CFD. International Communications in Heat and Mass Transfer, Vol. 39, pp. 745-751, 2012.